Pat Gauthier welcome to my website hope you enjoy visiting. I live in historic town of Fort St James north/central British Columbia. I was raised on a farm in Sorrento near Shuswap Lake and went to school in Salmon Arm BC. Life on the farm taught me to work hard, that brought me north to Fort St James where I got a job in a sawmill. I quit the mill to raise my children but it also brought me back to painting. My young son would set up his Lego's under the easel including the family dog. It was a wonderful time in my life, but the demands of family and outside job became too much I had to put my art aside. Many years past and after major life changes I finally have come full circle finding the time to paint again. Recently retiring from ranching has allowed me to concentrate on my art and family. My medium choices are Oil, Acrylic, Watercolour, and Pastel, it depends on the subject. I would consider myself as a realist, with enthusiast interest in various subjects. 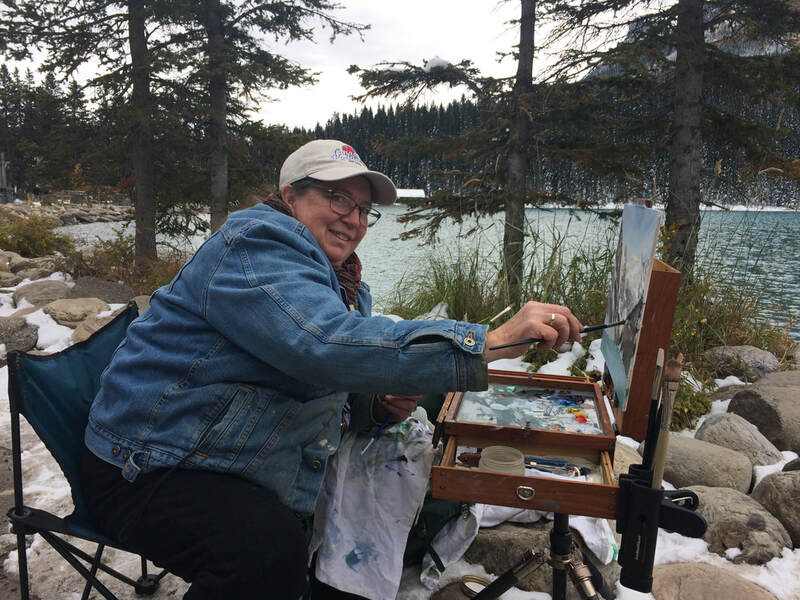 Getting outside painting on location "En Plein air" is one of my favorite and challenging thing to do. Nature and nature driven motifs give me never ending source of inspiration. My studio has a huge north facing window that overlooks the ranch and the mountains beyond, a spectacular view, a place of my very own to create and share art.